The Outdoor Education program at Colorado Mountain College is designed for everyone. These week-long classes take place in the classroom twice, and the remainder of each course is spent out in the field. The Ice Climbing course takes place in Ouray, Colorado. Ouray is fondly known as the Switzerland of America. “It is world-class ice climbing," says Doughty. "People from all over the world climb there. Having rope skills helps but is not required.” This class comes with cabin lodging and a hot tub. 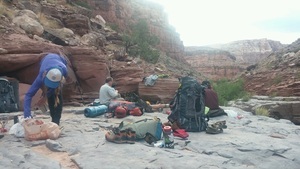 Doughty recently spent five of the last seven weeks in the desert with the Desert Orientation class. “Each step in these shoes I grew into who I am right now," she says. "Learning, leading, teaching, wandering and wondering. Despite the sand that may coat everything, nothing will hold me back." 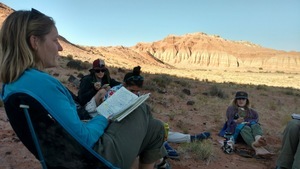 Outdoor Education classes are offered every semester and are dependent on the weather.